Your bedroom is your own personal oasis for style, relaxation and design. The reasons behind remodeling your bedroom are probably much different from your reasons for remodeling other rooms in your home. Meant to reflect your own panache, the renovation could be done to update design or perhaps to create more space. We have excellent tips to help you get the style and color you desire within your budget. This guide is chock-full of all the information you need to renovate your bedroom. Save it, pin it or print it so that you have what you need before you start the big demo. As with any home renovation, your first and most important aspect is your budget. It is vital for you to know how much you want to spend and if you have any wiggle room. Having a budget set out in front of you will assist you in knowing what you can buy and what you will need to do yourself. , but ended up spending twice as much. Satisfied with the overall look of her bedroom, she felt comfortable with overspending; however, this may not be an option for you. A large part of bedroom renovations — perhaps the entire reason for remodeling the space — is redoing the layout. Some bedrooms only allot for one layout. When renovating, keep in mind whether you would like to have options for rearranging your furniture or if you are OK with a one-size-fits-all kind of look. 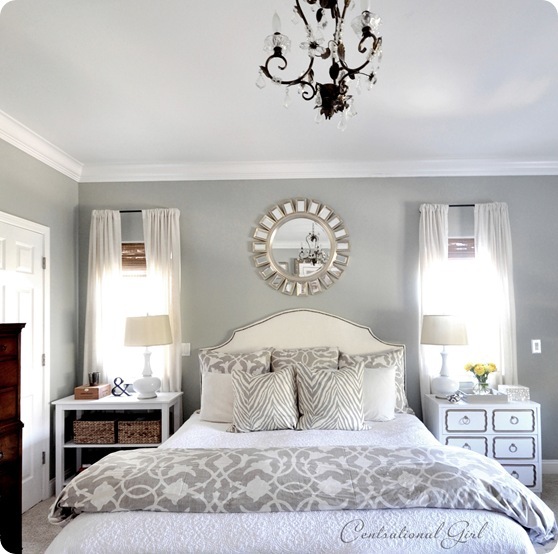 Emily Henderson recently designed a master bedroom that was centered around the chandelier and bed placement; the bedroom was added on as a means to create more space. If designing your own addition, give yourself alternate layouts in case you change your mind later. Style is an important aspect of your renovation, as it will help you not only choose the color of your new bedroom, but also the decor. When choosing your style, think of what kind of vibe you want your bedroom to have. Would you like a romantic space for you and your significant other, a bright and airy feel or something that will help you relax and zen out at the end of each day? 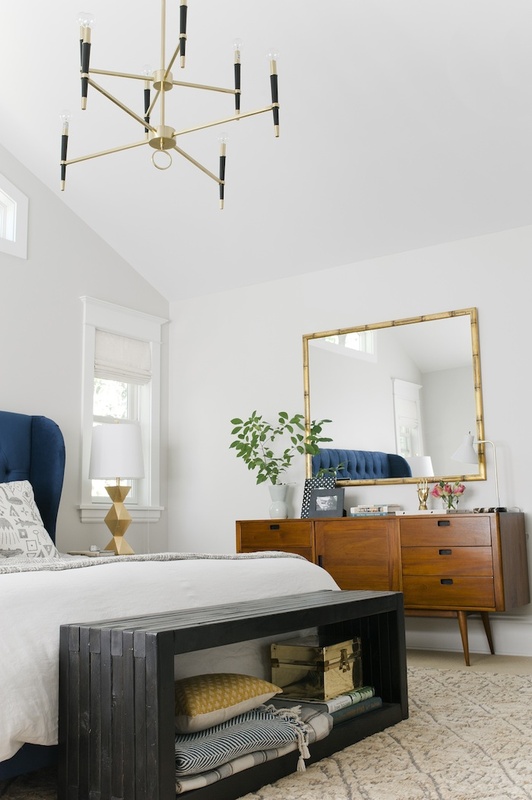 House of Rose blogger Mandy opted to style her bedroom to represent herself and her spouse, since the rest of the home was devoted to the entire family. Her result was a cozy and romantic bedroom for two. As with most of your home, the decor aspect of your bedroom is not solely up to you. 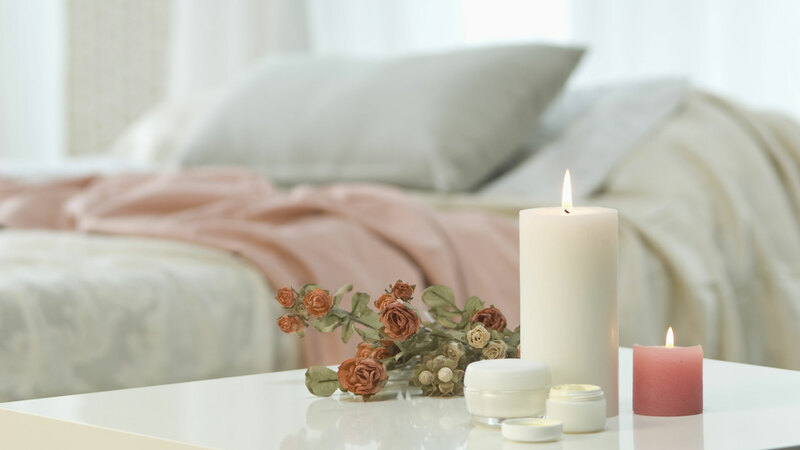 Since most of us share our bedrooms with our spouses, it is important to keep his or her decor needs in mind. Centsational Girl blogger Kate was able to incorporate her husband's beloved dresser in her master bedroom update and also meet his personal needs with a unique nightstand. By going neutral in the decor, the varying styles are able to mesh well together, just like the two people who share the room. Like any space in your home, the color of your bedroom makes or breaks the overall look of the room. Therefore, it is important to look at a variety of colors and swatches prior to choosing the color or colors to paint your walls. Gabbi at Retro Ranch Reno realized that while she liked her bedroom, she didn't love it. To change her mind, she opted to follow her gut and paint a few of the walls a darker gray. Before jumping the gun, she taped a fewswatches to the wall to get used to the idea. After painting, she was glad to have made the switch. Like the layout, design and paint color of your bedroom, the furniture also makes a large impact on the overall look of the space. Before choosing new furniture, it is critical to note the size, look and color that will fit into the room. Choosing something too large may cause space issues, while going with something too small may not allow the room to flow well. On the flip side, it is also important to remember that not one size fits all. 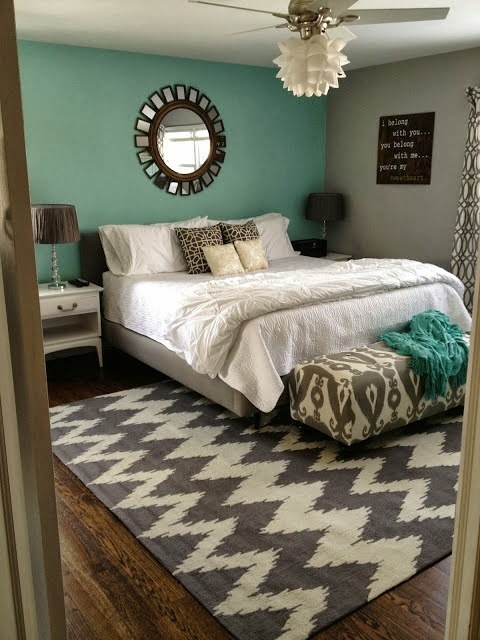 Living Beautifully bloggers Melissa and Ian opted to go with various sizes, colors and patterns to fit their personal style and design for their bedroom remodel. The results are absolutely stunning. A child's room is probably among the most remodeled spaces in your home due to the fact that your child goes from needing a nursery to a teen room. When renovating, it would be wise to choose a theme that will be easy to update as your child grows. The Lily Pad Cottageblogger Kelly has always had a whimsical design in her daughter's bedroom. However, she has always allowed her daughter to choose her own paint color. She was relieved when her daughter picked out something a bit more refreshing than bubblegum pink when she got older. With this in mind, you may want to preselect a choice of colors and then allow your child to pick their favorite.